Receive simple unlocking instructions via email and have your Sony unlocked in 5 minutes. 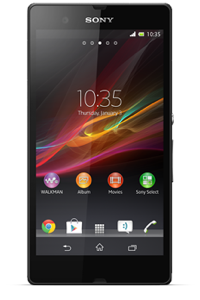 This remote Sony Xperia mobile phone IMEI unlocking service is guaranteed to work on all Sony Xperia cellular devices. From the drop down above, simply select the COUNTRY your Sony Xperia phone was purchased in followed by the NETWORK it is locked to (NOT the network you want to use it with). Once we have this information you will be presented with a price and an estimated processing time to unlock your Sony Xperia device. The time quoted is the average time it has taken to process this service historically. Once you receive your simple unlocking instructions via e-mail you’ll have your Sony Xperia phone unlocked in minutes. Please check that your phone has unlocking attempts remaining before making your request. If you make a request and your phone has run out of unlocking attempts, we will be unable to issue you a refund. 1. Turn on your phone with a SIM card inserted (VERY IMPORTANT). 4. Check the number to the right of the word Network. If there is an X or a number higher than 0, you have unlocking attempts remaining and can unlock your phone. 5. If the number is 0, your phone has run out of unlocking attempts and cannot be unlocked. Our Standard Sony Xperia Unlocking Service scans LOCAL databases and is our low-cost solution with a very high success rate. Our Premium Sony Xperia Unlocking Service (where available) is a more advanced unlocking service for those phones which cannot be unlocked by our Standard Service. This service may be required if your phone has received technical support from Apple (in the case of iPhone’s) or you have signed a fixed-term contract with your network operator. We always recommend trying our Standard Sony Xperia Unlocking Service first because it is less expensive and has a success rate close to 95%. If an unlocking solution is unavailable for your Sony Xperia device after scanning LOCAL databases, we will issue you a full refund so you can use our Premium Sony Xperia Unlocking Service (where available) which scans databases WORLDWIDE. Neither this, or any other unlocking service, can remove an Sony Xperia cell phone from a blacklisting. You will not be able to use your Sony Xperia phone in the country it has been reported as lost or stolen. Although a blacklisted Sony Xperia may work in another country, we offer no guarantees or refunds for orders placed on such devices. We provide a service to verify if a handset has been blacklisted here. For a limited time only receive 30% discount on our Sony All Sony devices unlocking service. Here’s why you should choose us to unlock your treasured Sony smartphone.